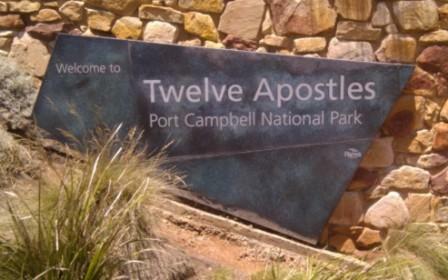 The Twelve Apostles at Port Campbell National Park is a ‘must do’ activity if you are visiting Victoria. 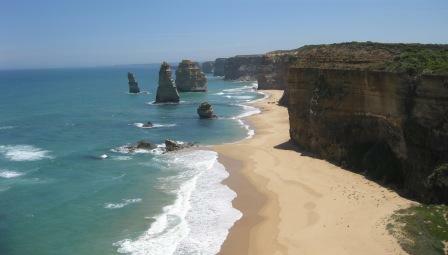 The Twelve Apostles are an iconic Australian landscape used on many tourist brochures and advertisements, and regularly feature on Australian photo calendars. After visiting, you will see why. The Twelve Apostles are a spectacular and rugged landscape carved out of limestone cliffs by the swells and wind of the Southern Ocean. 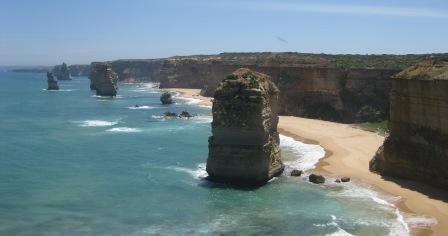 The harsh weather conditions have gradually eroded the soft limestone to form caves in the cliffs, which then became arches, which in turn collapsed, leaving rock stacks up to 45 metres high. Unfortunately, the massive swells and wild winds of the Southern Ocean are continuing to take their toll, eroding about 2 centimetres from the base of the rock stacks every year. 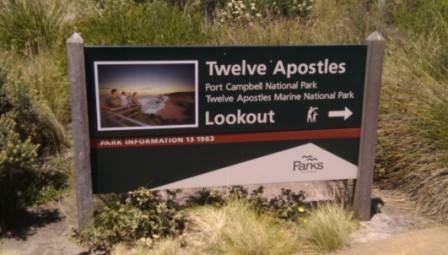 The Twelve Apostles (which were only ever nine to begin with!) are now eight, with a 50 metre tall stack collapsing on 3 July 2005. 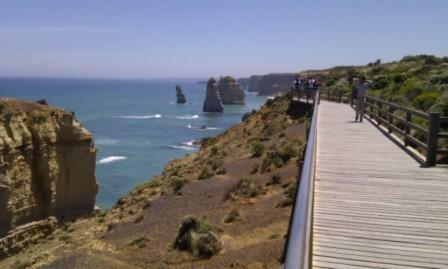 Apparently around two million people visit the Twelve Apostles every year. The car park, information centre and viewing platforms are set up to cater for the huge number of visitors. This article is part of my Tasmania road trip — further stories about this road trip can be found by browsing the Tasmania trip tag.